This app requires a Trakt account, which you can create for free at the Trakt website. 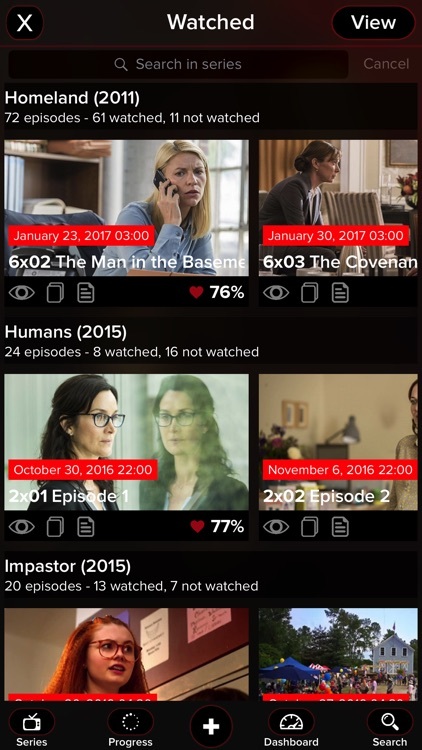 - Dashboard: an overview of your series to watch, upcoming schedule, recently watched, trending and more. 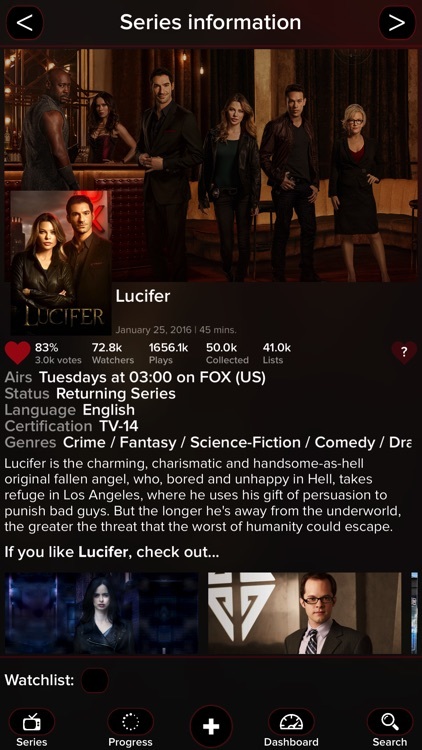 - Series: get an overview of your series, featuring multiple sort options, progress info and next airing. 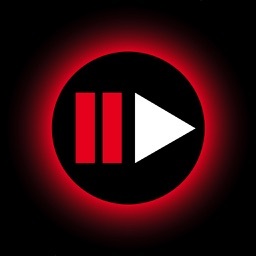 - Progress: an overview of your series and the watched/collected progress you have made. 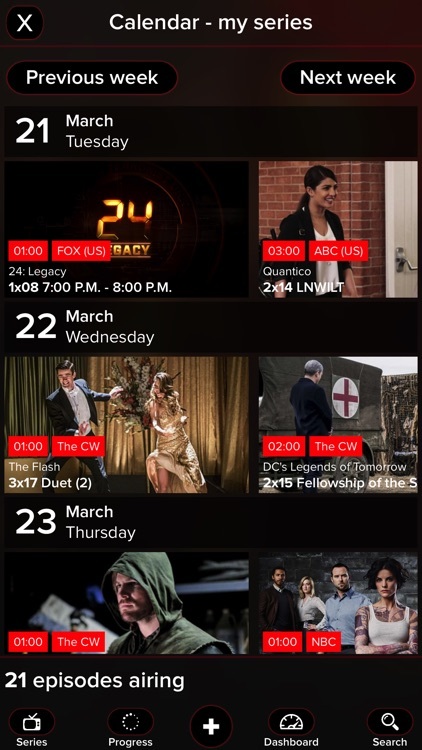 - History: see what and when have you watched an episode. 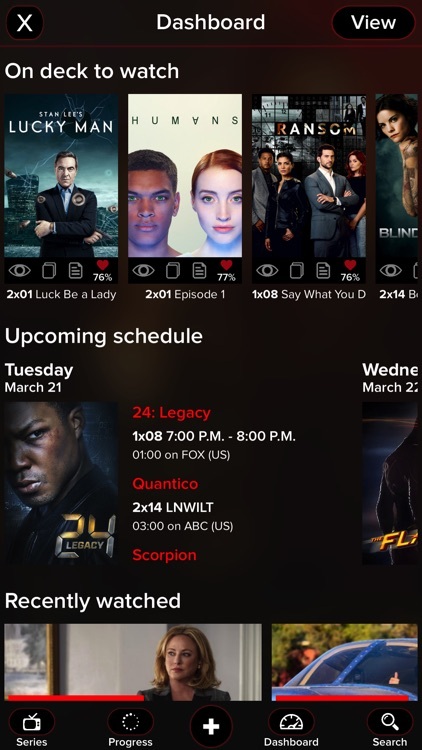 - Calendar: an overview of the air dates of the series you are watching. - Lists: manage your Trakt lists. Create, modify, add, delete Trakt lists. It's never been this easy. 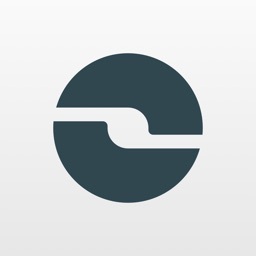 - Tunes: use great tunes from an online database and listen to them when you select your favourite series. 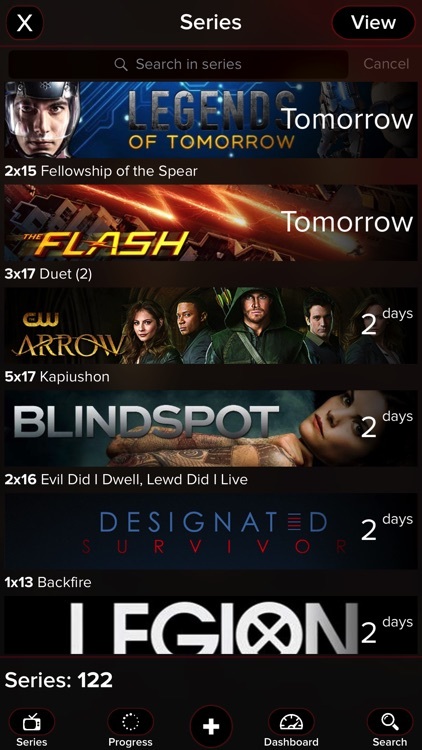 - Reminders: add episode air dates and season premieres to your reminders app. - Change the fan art of your series. Select from the thousands and thousands of posters, backgrounds and banners made available by others. - Check-in the series you are watching.